How would it be, if the snake tattoo on an arm suddenly comes to life? In this contest, your goal is to do just that. Select any photo of a body part with a tattoo on it, and make the tattoo come to life! You have to show at least the part of the body, where the tattoo is, a part of the tattoo and of course the part that comes alive. You can either use an existing tattoo or create one yourself. Great use of the pen tool, shading, bevel and emboss. 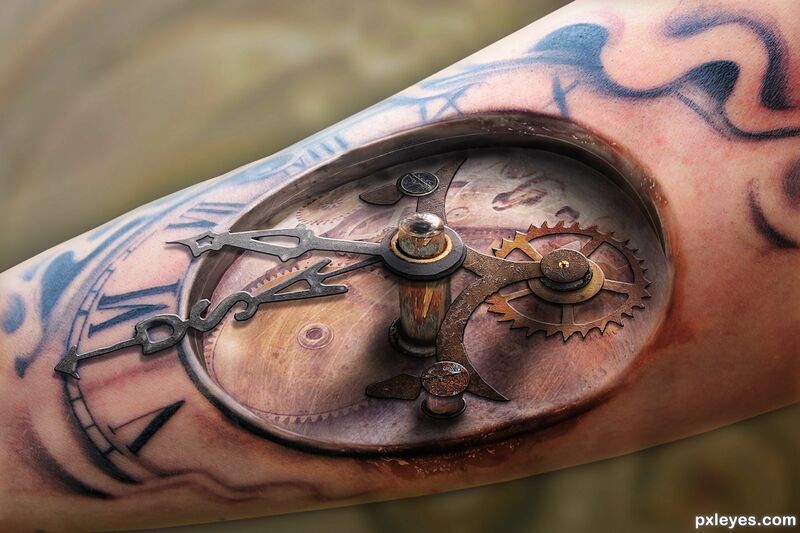 The transition between the tat and what appears to be wrought iron is superb. 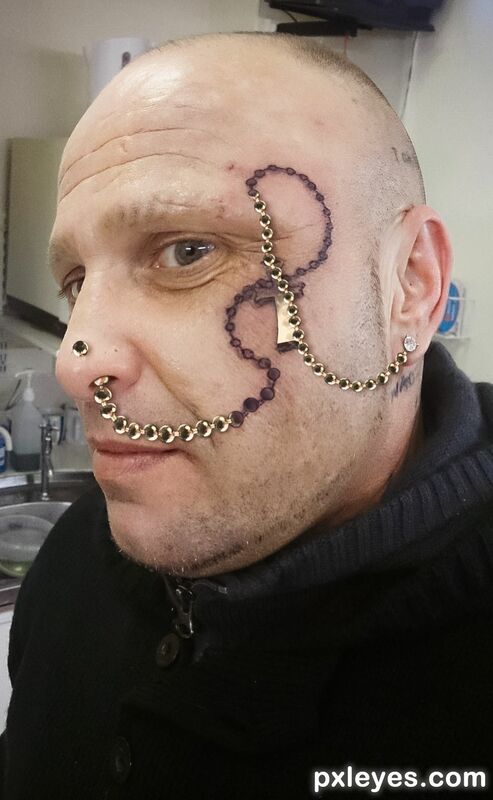 Well done, maybe a touch of color or integration of the tattoo into the background (like into a fence or so) would have been what I should do. Well done.... But ew... it's gross. ...and no one will ever listen to another word this man says for the rest his life .. all they will do is look at him and say, "Didn't that hurt?".. What happens when he has a cold and needs to blow his nose? It certainly causes my imagination to run riot. 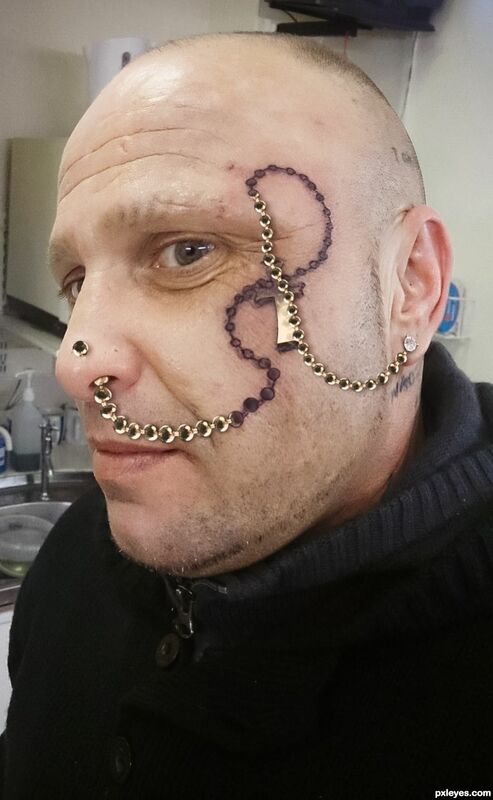 You did a great job on the tat but I am sure you could make the whole work look more artistic if you changed the background as well. All that stuff in the background is distracting. Thanks but I'm not really going for the artsy look here, lol. 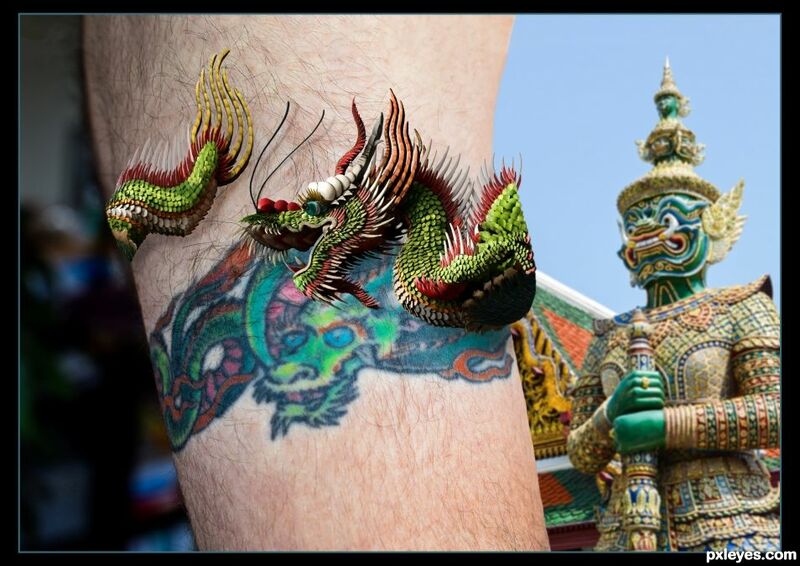 A good effort which could be improved by using some kind of transition to blend the tat with the dragon sculpture. The way you have done it, makes it look like the dragon sculpture is something separate to the tattoo which is just wrapped around the arm or pasted on top of the arm. It does not look like the tattoo is coming alive out of the arm. 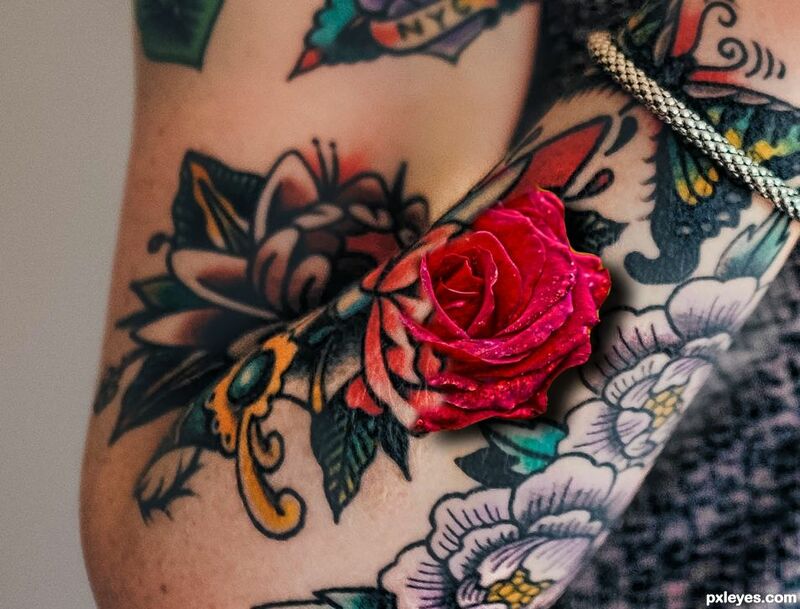 To make a tattoo look like it is coming alive, the "real" thing needs to be blended with the tat so both sources look like part of each other. The following tutorial shows you how to add a transitional fade effect from one image to another using masks. Thanks for the tutorial Skyangel, it is very interesting. Unfortunately it doesn't seem to fit to my chop as there are too many layers and it gets all mixed up. I like it as it is anyway, with the tattoo still appearing very well. The dragon is alive and surrounds the arm indeed, the transformation took place a moment ago and now the beast is waiting for an inner signal to take off!